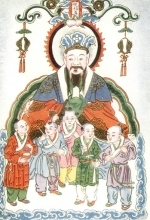 On the twenty third day of the twelfth lunar month, just before Chinese New Year, Kitchen God (Zao Jun) returns to Heaven to report the activities of every household over the past year to the Jade Emperor (Yu Huang). 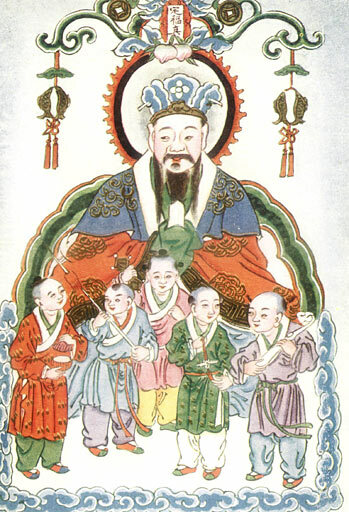 The Jade Emperor, emperor of the heavens, either rewards or punishes a family based on Zao Jun’s yearly report. So on that day, Chinese families worship Kitchen God in order to please him. Lots of other New Year activities also started today. 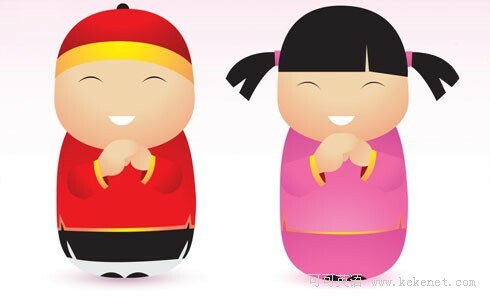 It marks the beginning of Chinese New Year holiday time. In order to establish a fresh beginning in the New Year, families must be organized both within their family unit, in their home, and around their yard. 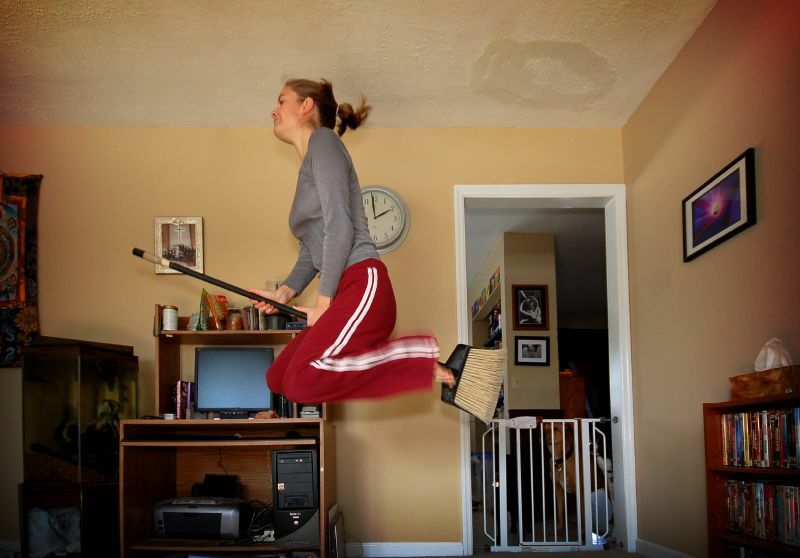 This custom of a thorough house cleaning and yard cleaning is another popular custom during “Little New Year”. It is believed that in order for ghosts and deities to depart to Heaven, both their homes and “persons” must be cleansed. 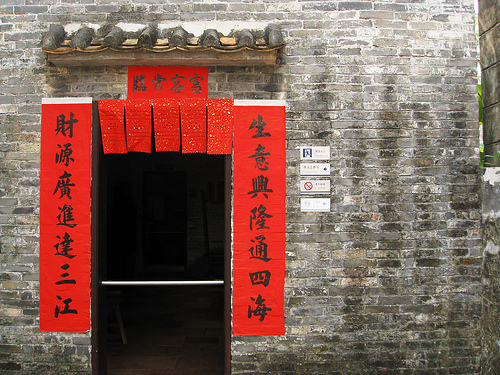 In Chinese poetry, a duìlián or antithetical couplet is a pair of lines of poetry usually seen on the sides of doors leading to people’s homes. The two lines have a one-to-one correspondence in their metrical length, and each pair of characters must have certain matching properties such as meaning and tone. A duilian is ideally profound yet concise, using one character per word in styles Classical Chinese. 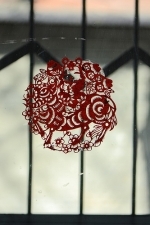 A special, widely-seen type of duilian is the chunlian, used as a New Year’s decoration that expresses happy and hopeful thoughts for the coming year. 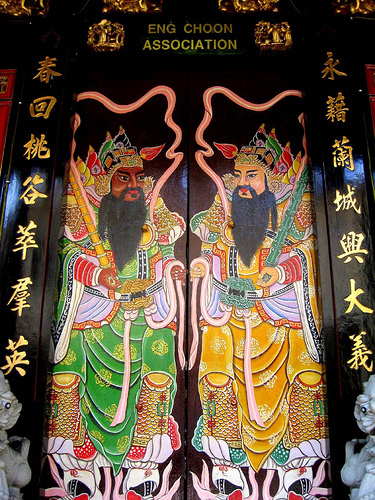 A door god is a Chinese decoration placed on each side of an entry to a temple, home, business, etc., which is believed to keep evil spirits from entering. 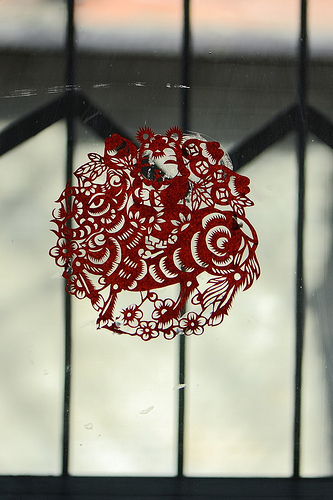 Paper cut with New Year blessing themes are put on windows to decorate the house. An important activity during the Spring Festival is bainian （to pay a New Year call）.People start to pay New Year calls from the lunar New Year’s Day，that is， the first day of the first month of the lunar calendar. 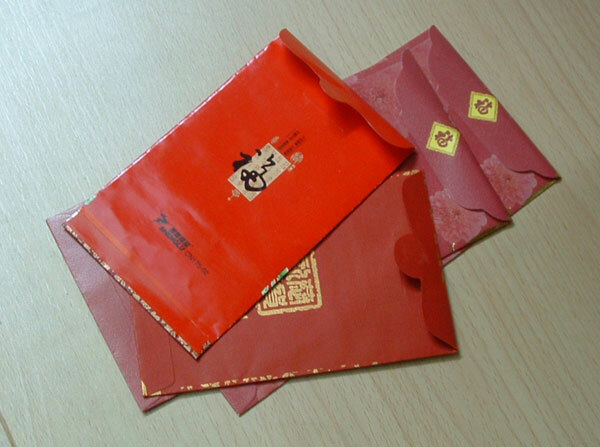 Then the old generation will give the young some lucky money which wrapped with red paper or red envelope. Because red is a color with joyful. 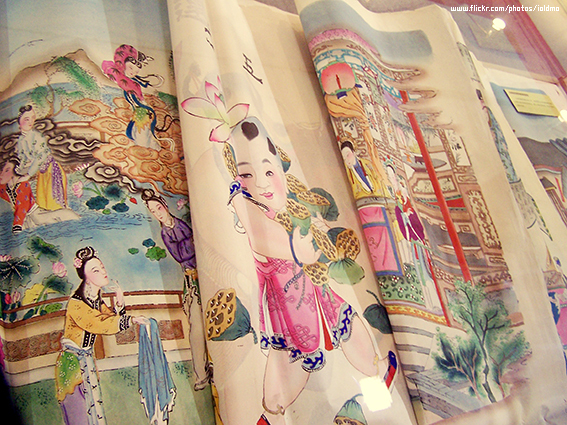 Lucky money means the old generation‘s love to the young and hope them can have a good luck in this new year. this is the lucky money which lots of the young want. 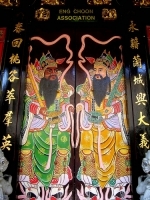 The tradition of observing the conquest of Nian (a beast, the same word as “Year”) is carried on from generation to generation. The term Guo Nian, which may mean Survive the Nian becomes today Celebrate the (New) Year as the word guo in Chinese having both the meaning of pass-over and observe. 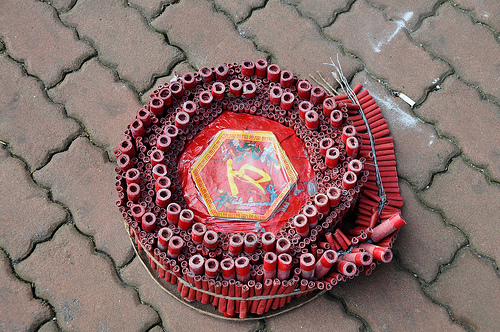 The custom of putting up red paper and firing fire-crackers to scare away Nian should it have a chance to run loose is still around. However, people today have long forgotten why they are doing all this, except that they feel the color and the sound add to the excitement of the celebration. 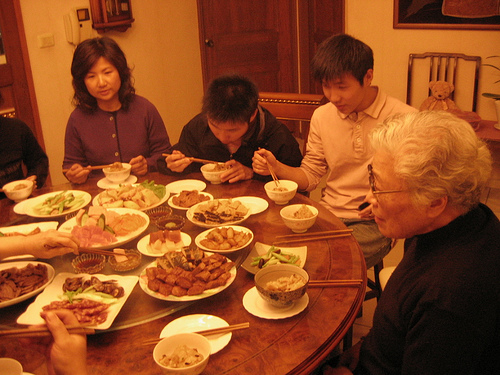 The biggest event of any Chinese New Year’s Eve is the dinner every family will have. A dish consisting of fish will appear on the tables of Chinese families. It is for display for the New Year’s Eve dinner. This meal is comparable to Christmas dinner in the West. 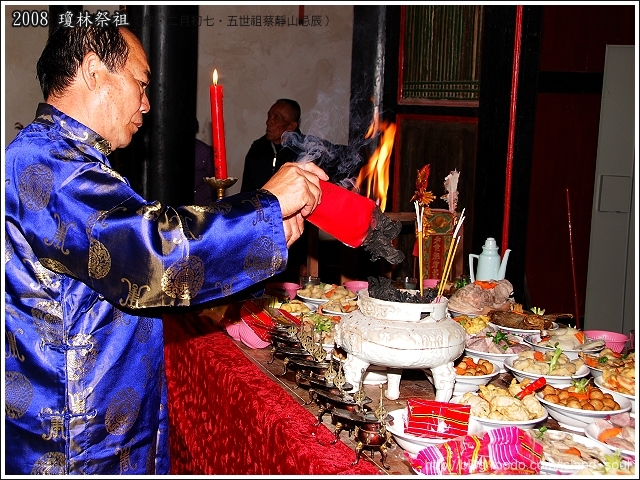 After the dinner, some families go to local temples, hours before the new year begins to pray for a prosperous new year by lighting the first incense of the year; however in modern practice, many households hold parties and even hold a countdown to the new lunar year. Beginning in 1982, the CCTV New Year’s Gala was broadcast four hours before the start of the New Year. It is also important to worship the family ancestor in the beginning of the New Year to have their blessings and to honor the deeds and memories of the deceased.